What Is in a Name? Jack Campbell, Jack Campbell, Jr. and John Campbell, Jr. – Jack Campbell Jr.
What Is in a Name? Jack Campbell, Jack Campbell, Jr. and John Campbell, Jr. When I started seeking publication of my short stories, I had to make a decision. Did I write under my own name or under a pseudonym? I have nothing particularly against pseudonyms. After all, some very famous, very successful writers have used them. However, I like my name, and I wanted to have my writing associated with my true identity. There was only one hiccup. When I did an internet search for “Jack Campbell author,” it returned a rather prominent writer of military science fiction. John Hemry, also known by his pseudonym “Jack Campbell,” is probably best known for The Lost Fleet series of books, but he’s written a bunch of novels and short stories under his real name. Obviously, I write literary horror not military science fiction. However, there is a bit of crossover in the science fiction, fantasy, and horror genres. I didn’t want him or anyone else thinking that I was trying to make a buck off of his name. After a bit of a debate, I turned to the most obvious person for advice. John Hemry. We had an email conversation during which he was very supportive, encouraged me to write as Jack Campbell Jr., and said he hoped to see my name on the shelf next to his someday. Even though I write under my real name, having his blessing was a bit of a relief to me. Still, I knew there was at least a small chance for confusion. A couple of weeks ago, it finally came up. I contacted another writer regarding a blog he wrote. I’ll leave his name out of it, in case he is embarrassed. We both got ripped off by the same magazine publisher, and I sent him an email asking if he ever got anywhere with his emails to the owner. During the conversation, he asked me to do an interview. Being a nice guy, I agreed. After reading a few of the past interviews, I started getting a bit concerned. Nearly all the guests were straight sci-fi and fantasy and had far deeper credentials than I do. I’m a nice guy. I think I am a talented writer, but at this point in my career, I haven’t amassed the publication history that many of the guests had. I sent him an email as a sort of feeler to see if I was the type of writer he really wanted, going in to my publication history, my planned publications for the next year, and some personal information. No, it is not. I can understand the confusion, and I actually find it pretty funny. I hope the writer isn’t embarrassed, because it doesn’t bother me, at all. 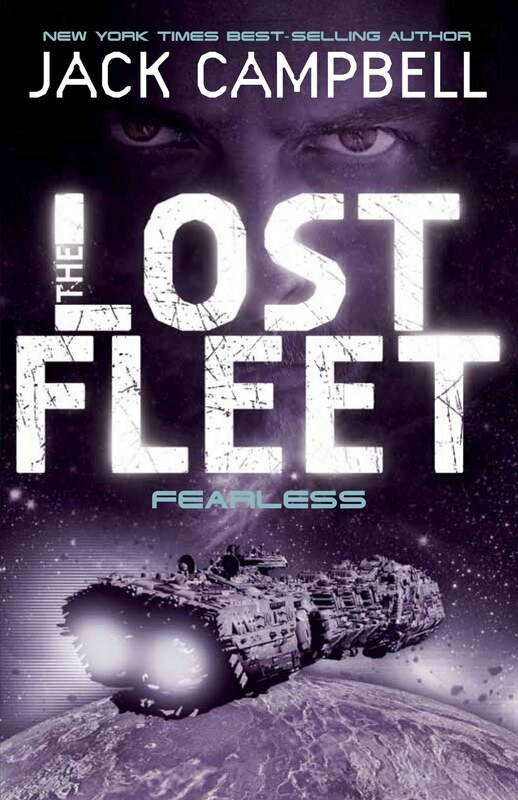 My mom did a double take in Wal-Mart when she saw the latest Lost Fleet book. I get second looks at conventions because of the name tag, although I am obviously younger than Hemry. If you go search for me on Amazon, you have to dig through Hemry’s stuff in order to find my magazine and anthology publications. Both of us get mixed in with John W. Campbell, Jr., the legendary and influential science fiction writer and editor of Astounding Science Fiction. Still a name is a name, and all a writer can do is build his own the best he can. I’m proud to say that my own literary footprint continues to grow. I hope that someday I do walk in to a bookstore and see the three of us sitting next to each other on a bookshelf. That would make my day. I will continue doing everything that I can to make that happen. With that said, it’s time to go write stuff. In the meantime, no I am not THAT Jack Campbell, although he seems like a Hell of a guy and he has a great pseudonym.